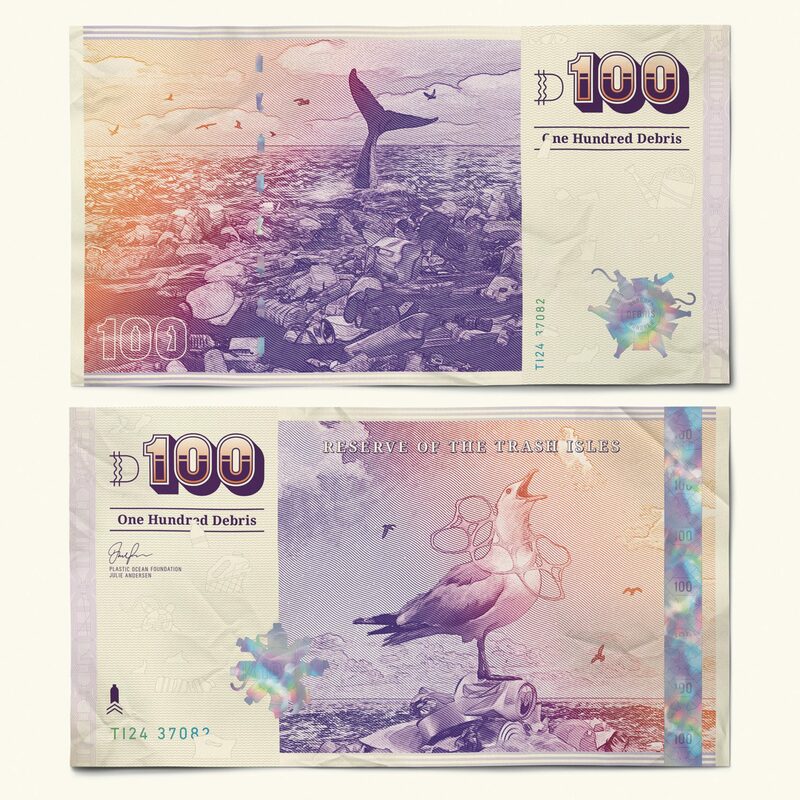 A massive mound of plastic in the Pacific Ocean becomes a country with its own passport, flag and "Debris" currency, in this design proposal intended to raise awareness about ocean pollution. in the northern part of the Pacific Ocean – as an official country recognised by the United Nations. 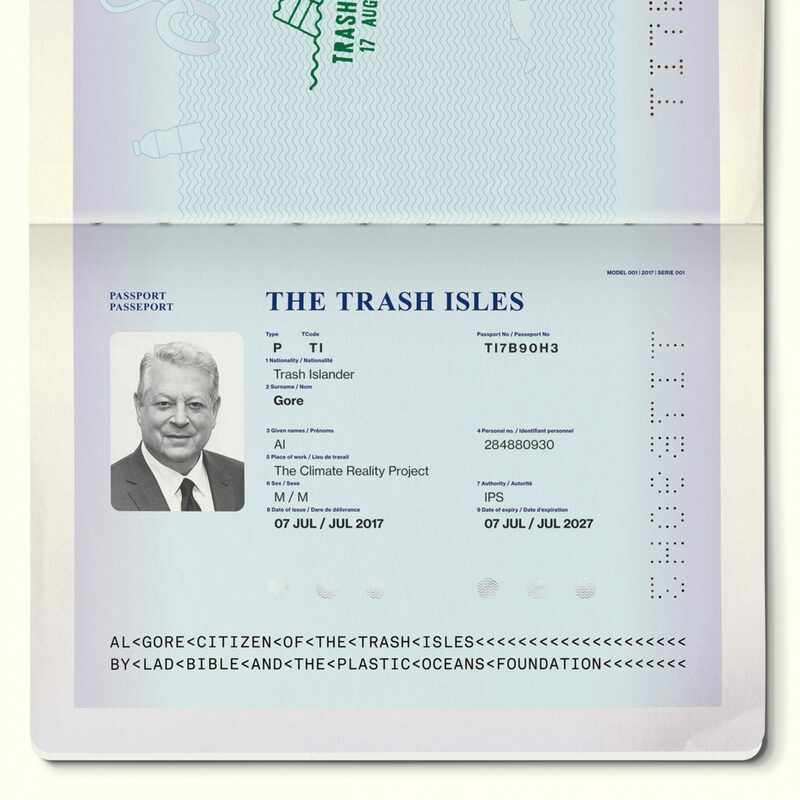 Advertising creatives Michael Hughes and Dal Evans De Almeida, known as Dal and Mike, launched the proposal to force world leaders to address the scale of the ocean trash, which they say has accumulated to the size of France. 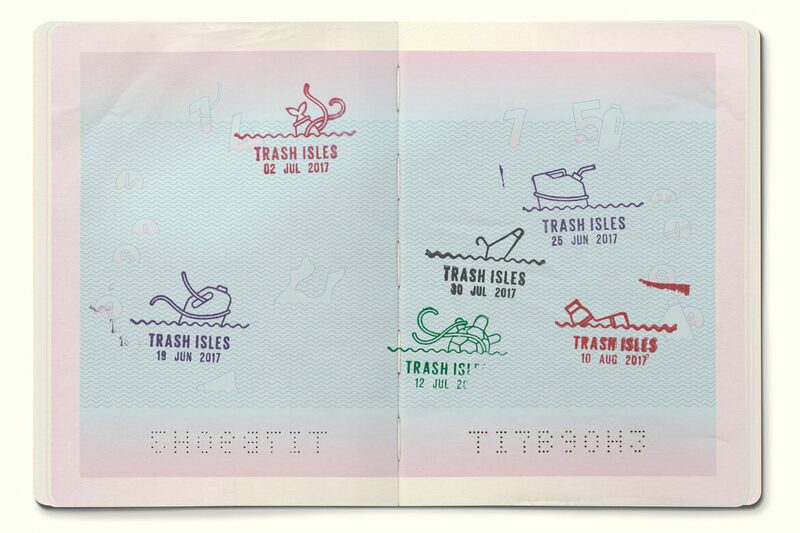 "We knew that, even though the trash patch covers an area the size of a country, it is easy for world leaders to ignore it – the saying 'out of sight out of mind' could not be more applicable than with this issue," Hughes told Dezeen. "We wanted to come up with a way to ensure world leaders can't ignore it anymore, a way to stick it under their noses, literally," he added. Dal and Mike are teaming up with social media news company LADbible and non-profit organisation The Plastic Oceans Foundation on the project. They submitted an application to the United Nations earlier this year, coinciding with World's Ocean Day, to make the project a reality. They have now also launched an online petition through LADbible to support the application, and hoping to gain one billon signatures. 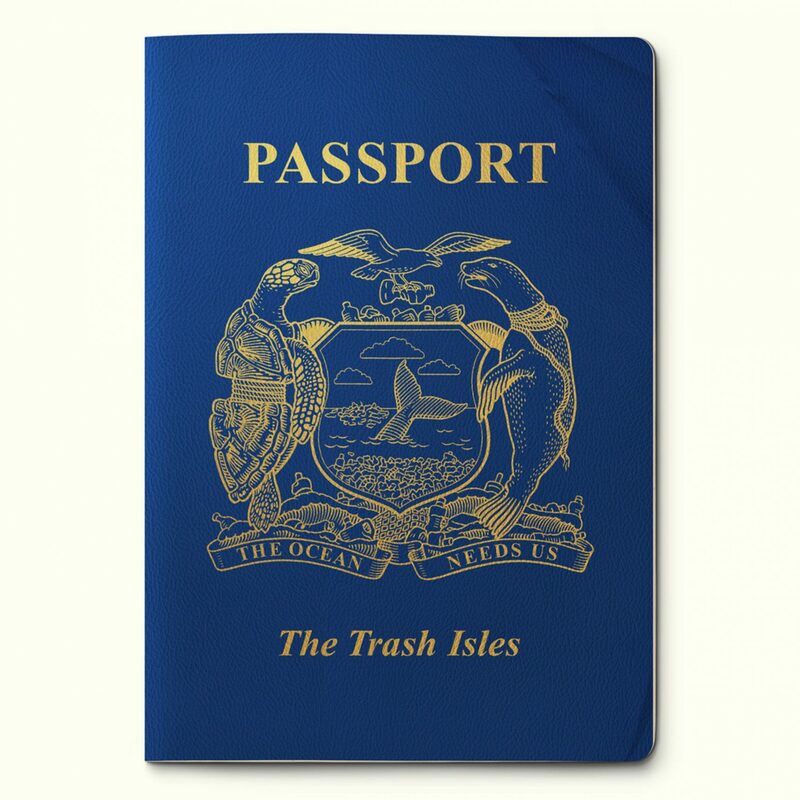 To add further gravitas to their proposal, Dal and Mike enlisted London-based designer Mario Kerkstra to create a passport, money and stamps for the country, which are all made from recycled materials. "Working with Mario as a designer, we originated the idea to create everything an official country needs, so with him we designed a passport, money, stamps and a flag," Hughes explained. Just signed it and shared on FB! I just signed the petition. Join me!